Taiwan Needs a Defense Restoration Plan. The U.S. Must Help. It is completely outrageous our Allies are selling highly sensitive technology to China undermining Taiwan’s, Japan’s, Korea’s, Australia’s and America’s security. The current policy of the United States is not adequately supporting Taiwan. Supporting Taiwan is a geopolitical necessity for the United States. A loss of Taiwan will inevitably lead to a collapse of confidence in the United States, massive changes in government in friendly countries including especially important Japan and Korea, and even impact Australia driving that country into China’s arms. Make no mistake, the stakes are very high. China has been systematically expanding its reach in the South China Sea and building up its forces. A good part of China’s effort is to neutralize Japan which, given years of neglect of its defense systems is increasingly a sitting duck for the ambitious Chinese. Likewise and even more so, Taiwan has been left out on a singular limb for a long time. It has second hand, mostly obsolete equipment and is in a difficult position if it wants to execute a survival strategy if it is attacked. It has long been understood that Taiwan’s only chance to withstand any attack from China is for the United States to help. That means the U.S. has to bring sufficient air power and naval forces to bear on behalf of Taiwan if attacked by China. Today it is unclear that the U.S. will do that; and even less clear whether we have enough forces and power to help Taiwan if that help has to come urgently and very fast. For Taiwan this means keeping good relations with America; it also means having enough defense capability to really defend its territory. If the people of Taiwan start to think they will surely lose, Taiwan will voluntarily surrender its independence and autonomy rather than suffer massive casualties and destruction. None of this is anything really new. But without an aggressive Defense Restoration Plan for Taiwan, we will get to the bad end game sooner rather than later. While no one wants to believe in the domino theory, that was thrown around during the Vietnam conflict but never quite happened the way Washington warned, the military balance in the Asia-Pacific region is in the throes of great change that could make a domino situation inevitable. A Defense Restoration Plan must have three legs: air power, air defense and submarines. On air power the U.S. is upgrading Taiwan’s F-16’s with new systems and more advanced radar. This is a good step which will definitely help Taiwan have better front line aircraft then they now have. But it is not enough. The problem for Taiwan’s air power is survivability. Survivability involves both surviving in the air and on the ground. If China can knock off a good part of Taiwan’s aircraft on the ground, hitting airfields with missiles (which China has plenty of), there isn’t much Taiwan can do about it. Thus for some time Taiwan hoped to have a new generation of aircraft that could take the fight to China’s missile bases and knock them out first. Washington was always opposed to this type of First Strike capability. But even this assumes there is no surprise. A surprise attack on the order of the Yom Kippur war, especially with Washington urging the proverbial “restraint” leaves Taiwan naked. What could help is a new generation of aircraft for Taiwan based on a highly modernized, more stealthy version of the Harrier jump jet. 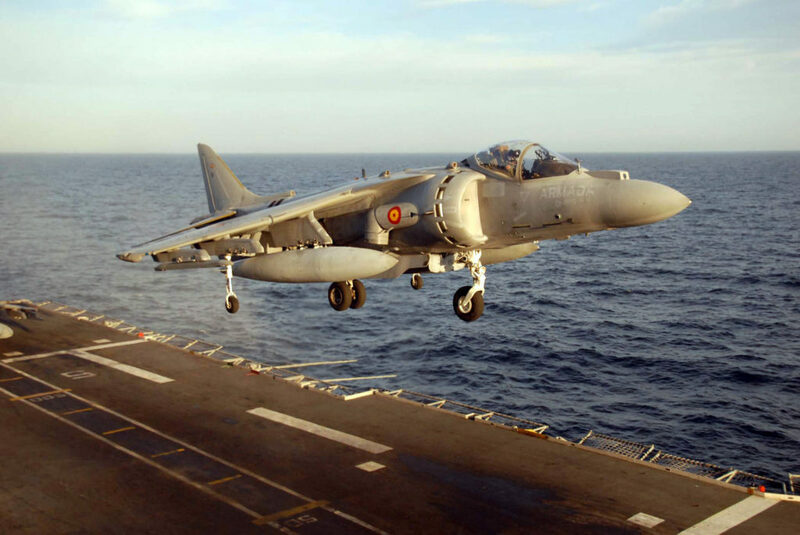 A Harrier-like jump jet could be hidden anywhere on the Island. China would find it more or less impossible to knock them out, thus retaining Taiwan’s fighter aircraft interceptor capability. Thirdly, Taiwan needs submarines. Submarines are stealth systems. If China wanted to launch an invasion, it would have to locate and destroy Taiwan’s submarines. Right now that is no big deal. 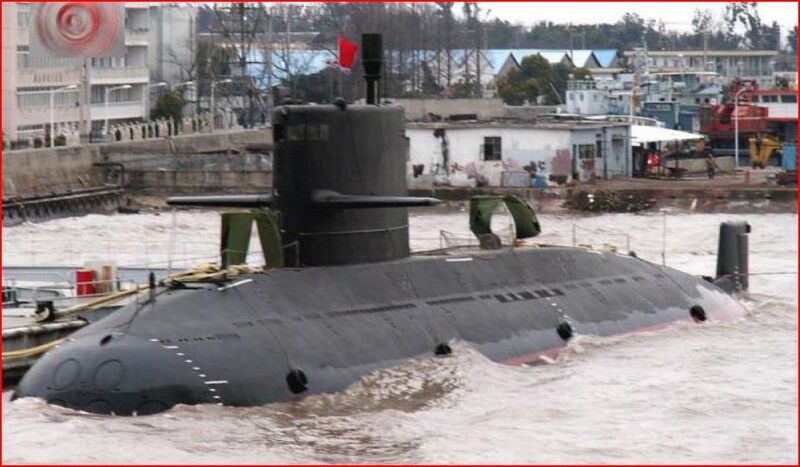 Taiwan is down to two old usable submarines (which are Dutch Zwaardvis –Swordfish– class boats built in 1986 and 1987). They are in desperate need of upgrade or they will need to be scrapped. But Taiwan cannot take them offline for upgrades and be without a usable submarine defense. One solution is for the U.S. to temporarily locate some attack submarines in Taiwan until these old submarines are regenerated. But two submarines is not nearly enough. Taiwan needs between 8 and 12 submarines, provided it can crew them. And it needs two types: longer range large boats and smaller, more agile coastal defense submarines. As is well known, the U.S. does not build diesel electric subs. These are today made in Europe, Japan, Australia (based on European designs) and in Russia and China. Of special worry are the new Chinese Yuan class Type 39 diesel electric submarines of which 13 are already in service which will grow to some 22 in future. These submarines have Air Independent Propulsion and are sized to be able to work effectively in littoral waters. They are a major threat to Taiwan. Worse still, China has got substantial help in building them from Western Europe. MTU of Germany has supplied the power plants and the International Peace Research Institute says that MTU has supplied China with 56 MTU-designed diesels for its submarines. Even taking spare engines into account, that is a massive supply and not only endangers Taiwan but also Japan, Korea, Australia and even the United States. It is completely incomprehensible that the United States did not try and stop these strategic military transfers to China from Germany. For Taiwan to build submarines it needs lots of help. It is entirely unacceptable, for example that the Europeans are selling submarine technology to China and shunning Taiwan. While Europe claims it is neutral and will supply neither, in fact it only helping China and in a big, dangerous way. It needs to be clear these European sales to China for sensitive strategic programs undermines the security not only of Taiwan, but also Japan, Korea, Australia and, yes the United States too. It is completely outrageous that are allies are selling out America’s security. If the U.S. can provide leadership, it is possible for Taiwan to have the help it needs to produce a state of the art submarine to defend its territory. Will the U.S. support a true Defense Restoration Plan for Taiwan? The answer is uncertain. If we keep doing what we have done in the past, the answer is not positive. But if America wants to keep its posture in the Pacific, it had better wake up.